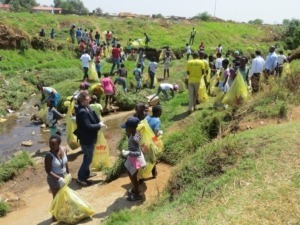 Project Butterfly was developed to address one of South Africa’s most pressing and visible environmental issues which is litter. Our business recognizes its role in ensuring that the end use of the packaging product, is disposed of in a responsible and sustainable way. 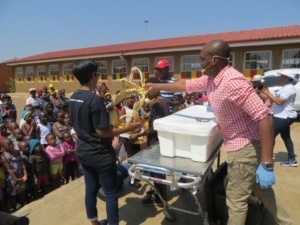 This project aims to inspire better waste management behavior, a look at what happens to our oceans and sea life when we litter, and how we can transform litter into useful and interesting objects that benefit our communities. 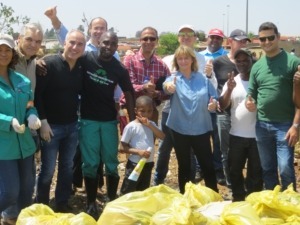 To this end, Dow partnered with Plastics SA, youth led recycling organisation Destination Green, Recycling education initiative, Aqua Amazing and Mashemong primary school to deliver a clean-up day in the township of Tembisa.